Your bathroom is probably one of the homes in your room that you visit most frequently throughout the day. As a result, your bathroom plumbing is extremely important. Modern plumbing systems are relatively self-sufficient, and when properly installed, they tend to provide several years of reliable service without any major complications. Once in a while, though, problems can pop up. This is especially true in older homes. At GT Campbell, we are here to help no matter when trouble arises. If you need help with your bathroom plumbing in Brighton, NY, we are the company for the job! A little bit of maintenance goes a long way when it comes to preventing bathroom plumbing disasters. Simple things like routine drain cleaning can help you avoid nasty clogs and keep everything working like it should. When problems do arise, it’s important to have them fixed. Even something seemingly minor like a leaky faucet can waste thousands of gallons of water and drive up your water bill. Other issues can also cause water damage and facilitate the growth of mold and mildew in your bathroom. Plumbing problems tend to get worse when ignored, so it’s always best to contact a plumber as quickly as possible. Whether you are remodeling your bathroom or you adding another one to your home, GT Campbell is here to help with your bathroom plumbing installation needs. We have the fixtures and parts you need, and your trusted Brighton NY plumber has the knowledge and experience to get the job done right. Choosing us for your plumbing installation needs means that your new fixtures will be put in properly and provide you with several years of reliable use. 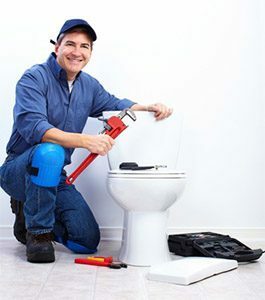 When you need a hand with your bathroom plumbing in Brighton, NY, depend on the professional plumbers right here at GT Campbell. Call us now to schedule an appointment.